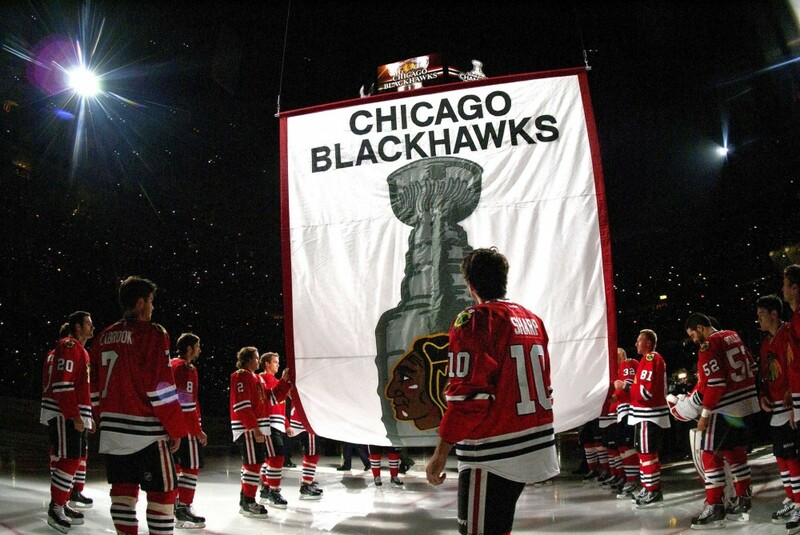 There are so many clichés to lay upon the 2013-14 edition of the Chicago Blackhawks. You know the ones: “It’s nearly impossible to repeat as Stanley Cup Champions” and “Stumbling into the Playoffs” come to mind. But the Hawks are armed with one of the best minds in the NHL behind the bench and arguably the deepest roster in the league. However, I’m not convinced this is going to be another magical run for Chicago. There’s too much working against them to make it to the Finals again, let alone hoist another Cup. Here’s a few top reasons the Hawks won’t get it done in the NHL’s second season. When your best players are out with an injury for the weeks leading up to the playoffs, there’s going to be some rust to shake off. Playing a team like the St. Louis Blues in the first round of the playoffs is certainly not a cake-walk and the Hawks will have their work cut out for them. Let’s not forget that the Blues were the team that sent Patrick Kane to a lower body injury. An injury that nobody really has much information about, except that Kane is expected to play in game one on Thursday night with a knee brace. On top of the injuries that were coming fast and furious over the last 2 months of the season, 10 Blackhawks traveled to Russia and played in the 2014 Olympic Games, and 6 of them played the maximum number of games, having made it to the gold medal match. After a fast 48 games, another 23 playoff games and just a 2 month off-season, there’s a lot of fatigue to fight through if Joel Quenneville’s crew wants to party in Grant Park again. Last season, Chicago was blessed with one of the greatest home ice advantages in the NHL. The Madhouse on Madison was always full and loud deafening, and the Hawks went 11-2 at home in their run to the Cup. This year, things will be decidedly different. The 2013-14 playoffs start on the road against a mad and strong St. Louis team. Colorado may be next and then there’s a conference final to win. If they are fortunate to get that far, that’s at least 6 games on the road, and none of which are going to be anywhere as quiet as your local library. Chicago won last year’s Cup. They won it in 2010. But after starting the season well and shaking off the “Stanley Cup hangover” with a 20-4-4 start, teams started figuring out ways to beat the Hawks. And it wasn’t because Jonathan Toews and Patrick Kane were out with injuries. Instead of winning games in the last couple of minutes, in overtime or in the shootout, teams were taking that extra point from the Hawks, and for that reason, the bullseye on their backs continued to grow. A record of 11-10-1 after the Olympic break isn’t exactly lighting it up, even without Captain Serious and Kid Kane. I didn’t expect them to earn points in 24 games in a row again, but that finish isn’t awe inspiring. The Hawks are fortunate to draw St. Louis instead of Colorado in this first round, but the hard-hitting Blues will be looking to inflict more damage on the Hawks, as they inadvertently did to Patrick Kane’s knee. There are plenty of reasons the Hawks may win the Cup for the second time in a row and third time in 4 years. But this one, more than either of the recent wins will be different. They don’t come in as ONE OF the favorites, let alone THE favorite which is precisely how they began the 2013-14 season. As Thursday’s playoff opener nears, Chicago’s health will need to climb from 90% to 100% and they may need to have the perfect game plan AND perfect execution to make it to the Finals.